No its not. The Office of Foreign Assets released new regulations under President Trump that really didn’t reverse anything Obama did at all. See here for exact reasons and legality of how to get here! Also, Cuba doesn’t care why you come to Cuba. Remember, the United States has the problem with Cuba- not the other way around! Cuba: A third world nation with first world prices. That’s the travel motto the island should have. Cuba is not the next Thailand or the next Bahamas. Of course you can make it cheap, and cheap is a relative word defined by your point of view, but most tourists are surprised how much things costs. Transportation being one big expense. Tourist spend anywhere from $10-$15 on a taxi taking them one part of Havana to another (about 2-4 miles) and After touring around, this gets expensive. Cuba might be “stuck in time” but business owners and entrepreneurs are not. They know what their time is worth to tourism and their services. I don’t think I have ever met a tourist who has felt personally unsafe walking down Havana’s streets or visiting countryside people. Cuba certainly is not 100% crime free, but its pretty damn close. According to Safe It’s a country where everyone knows everyone and where neighbors are your family. Violent crimes here are extremely low, and even lower if you are a tourist. Some things you should be aware of is getting ripped off (to be expected when you travel anywhere!) and petty theft like pickpocketing or giving you the wrong change. Heres my list of pretty good restaurants – all tried by Me! It’s a police-state- no freedoms. Cuba isn’t North Korea. Let me repeat that: CUBA IS NOT NORTH KOREA. There are not police everywhere, no one carries AK-47s, and no one is following you around making sure you don’t talk politics. In fact, we’re surprised how many tourists feel like they are free in Cuba. I have no idea who made this misconception on the internet. But heres the reality: Cuba works on two monetary systems- one is CUC that is valued the same as the USD and the other is CUP that is 25 to 1 CUC. Here on the island, we use the interexchangeably. Everyone ones. And you can too. Many times, Cubans might give you change in CUP instead of CUC if it benefits them. Salsa dancing was created in Cuba so it’s no wonder this question is on the list. In Cuba we call it “casino”. Most Cubans do know how to dance casino but that doesn’t mean they’re good at it. 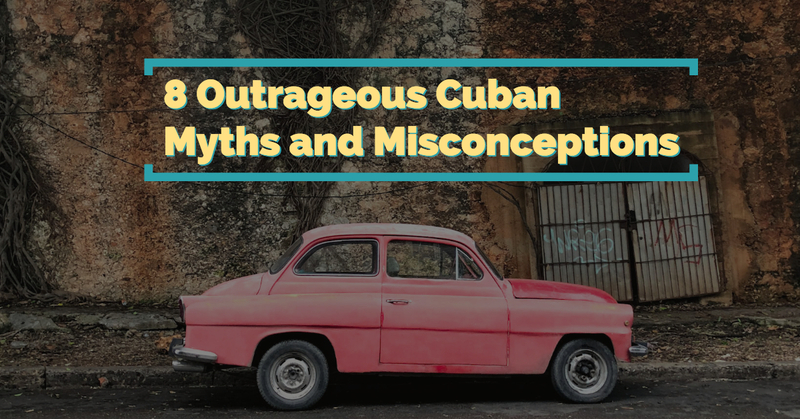 Generationally speaking, young Cubans often don’t know how to dance at all. It’s a dying genre and the once very (very!) popular casino has now been replaced by cubaton, or Cuban-reggaeton.